In response to Trump’s “election integrity” commission, the DNC is going on offense on voting rights. To counteract the Trump administration’s “election integrity” commission, the Democratic National Committee is launching a new Commission on Protecting American Democracy from the Trump Administration. While the Trump commission plans to focus on so-called “fraudulent voting,” the DNC says its commission will debunk the myth that voter fraud is widespread, document the impact of voter suppression efforts in the 2016 election, and propose solutions to expand voting rights. Former Missouri secretary of state Jason Kander, president of Let America Vote, will chair the DNC commission, and Alabama Representative Terri Sewell, who represents Selma and Birmingham, will be the vice chair. The other members will be New Jersey Senator Cory Booker, Texas Representative Joaquin Castro, Colorado House Speaker Crisanta Duran, Maricopa County Recorder Adrian Fontes, Kentucky Secretary of State Alison Lundergan Grimes, Massachusetts Attorney General Maura Healey, New York Representative Grace Meng, Wisconsin Representative Gwen Moore, California Secretary of State Alex Padilla, DNC Vice Chair Karen Carter Peterson, and District of Columbia Attorney General Karl Racine. “Our commission will document and report on today’s wave of voter-suppression tactics and provide recommendations for strengthening access to the polls for all Americans,” adds Sewell. 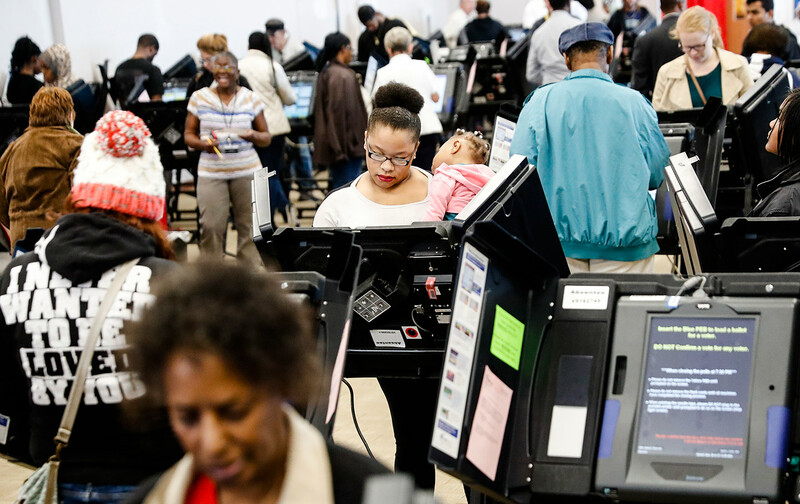 The commission is part of the DNC’s new Voter Protection and Empowerment Unit, which represents the party’s most ambitious effort to safeguard voting rights. “With the relentless attacks on voting rights that have become a staple in the playbook of the Republican Party, it’s absolutely imperative to develop a robust and permanent infrastructure within the Democratic Party for voter protection and empowerment,” Perez says. “We have to develop a much better capacity to play both offense and defense on voting rights,” Perez says. That means challenging restrictive voting laws in the courts and through on the ground organizing in states like North Carolina, Texas, and Wisconsin while also pushing for policies that would expand access to the ballot, like automatic voter registration. (As assistant attorney general for civil rights in the Obama Justice Department, Perez filed suit against strict voter-ID laws in Texas and South Carolina.) Perez also mentioned more far-reaching solutions, like abolishing the Electoral College through the National Popular Vote Interstate Compact. “We have a bully pulpit as a party, but I don’t think we’ve used it sufficiently,” Perez said. Given the threats to voting rights at the local, state, and national level, this effort is long overdue.